It's Grad Nite Live Pie Time! 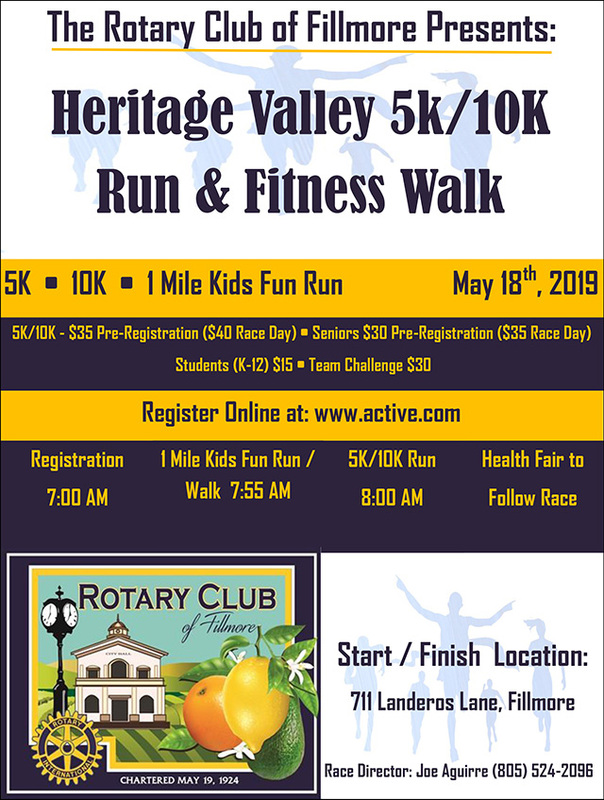 ALSO: Grad Nite Live Fundraiser: Donate your old cars, trucks, boats or RV running or not we will haul it away FREE ..call Mrs Chaney 524-4909 for pick up arrangements. 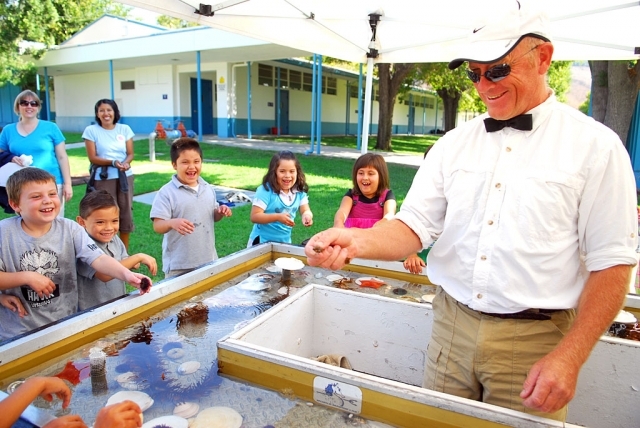 SACRAMENTO – State Superintendent of Public Instruction Jack O’Connell today announced 27 school districts will share $26.6 million in Professional Development in Reading for Special Education Teachers Pilot Program grants. The list of grantees is attached. 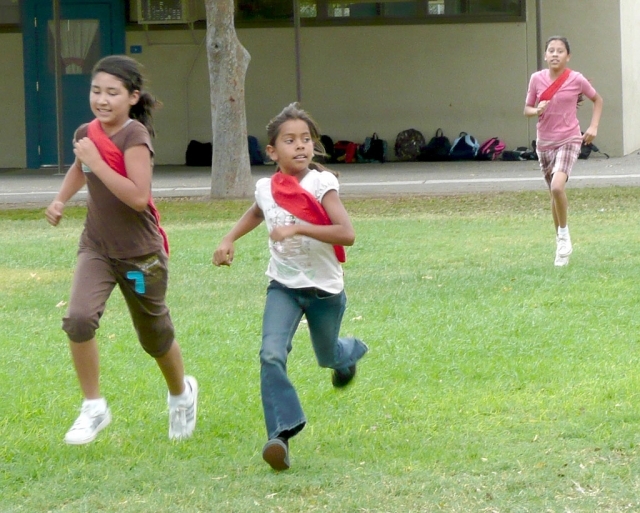 Approximately 10 percent of California students are designated as needing special education services. However, according to the California Department of Education’s 2006 document, Developing Highly Qualified Teachers and Administrators Initiative, there is a critical shortage of qualified teachers in a number of fields, including special education. Between 14 percent and 49 percent of special education teachers are also underprepared, meaning they do not possess a full credential. Carryover funds from the federal Reading First program provided funding for this competitive three-year Pilot Program grant. The grants were separated into two groups: Priority 1 grants provide funding to local educational agencies eligible but currently not participating in Reading First, to give professional development for special education teachers in reading for kindergarten through grade three. Priority 2 grants are for Reading First districts’ special education teacher professional development in kindergarten through grade twelve. The funds must be used to train and support these teachers in the use of reading/language arts instructional programs for students receiving special education services. Eligible applicants included local educational agencies with a great need for special education teacher professional development. 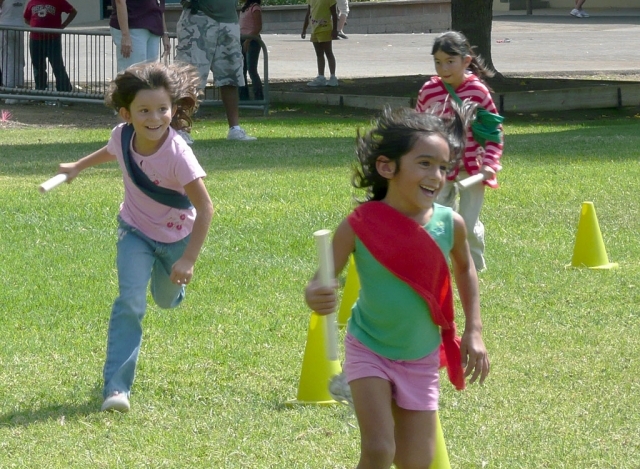 The goal is to provide students needing special education services with adequate reading instruction through core or intensive intervention programs so they will make progress toward grade-level reading proficiency, meet all reading/language arts goals of his or her Individualized Educational Program, and move closer to the proficiency level outlined in the California English Language Content Standards. The grantees were selected based on the quality of their applications. The grantees will be held accountable for assisting special education teachers in fully implementing the requirements of the grant. The requirements include providing opportunities for special education teachers to learn how to deliver instruction to increase student progress, the grantee’s use of student assessments, monitoring of student academic progress, demonstrated leadership, professional development plan, and collaboration between general and special education staffs. For more information on the Professional Development in Reading for Special Education Teachers Pilot Program grant, please visit http://www.cde.ca.gov/fg/fo/r12/setpd07result.asp. 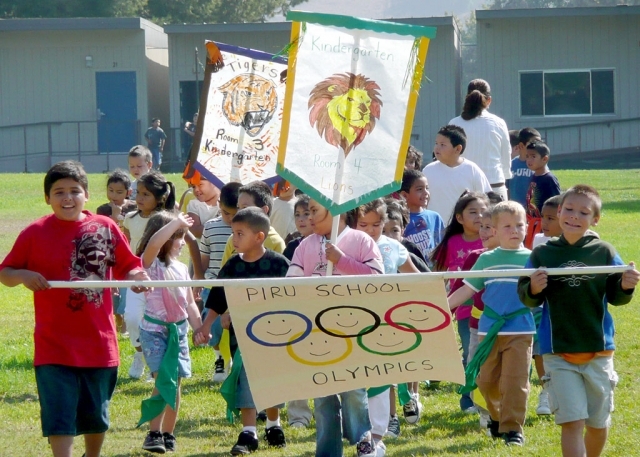 (Above) Opening Ceremony with class banners of the Piru Elementary Olympics. 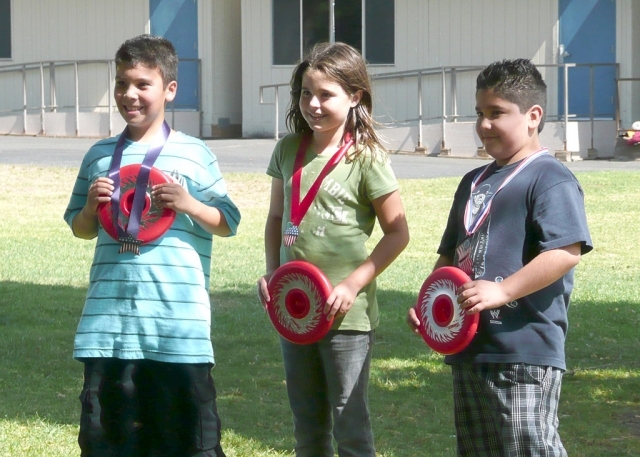 “Citius, Altius, Fortius,” last week the Olympic Motto came to life for students at Piru Elementary as they reached for “swifter, higher, and stronger” achievements in their school Olympics. After practicing at lunch recess for weeks at their Olympic Training Center the student athletes were ready to meet the competition. 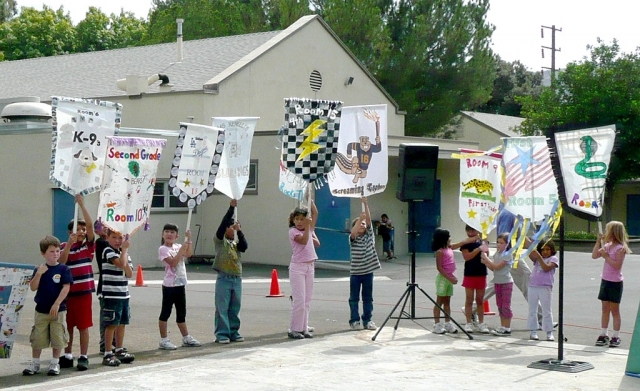 The Games began with a grand procession of classes around the athletic field to the Opening Ceremonies. 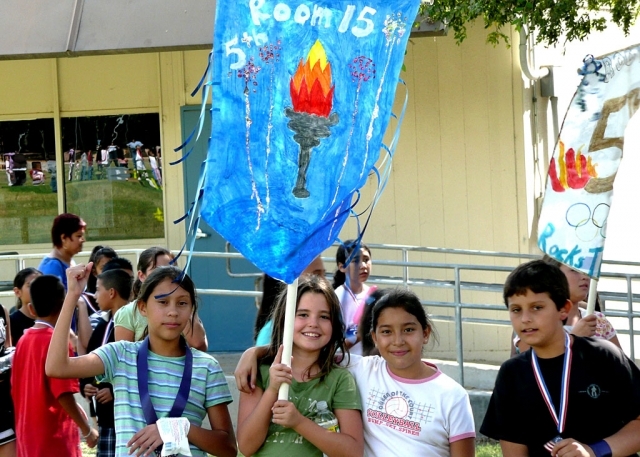 While their class banners proclaimed their class’ presence students were welcomed to the competition in the spirit of the Olympics. 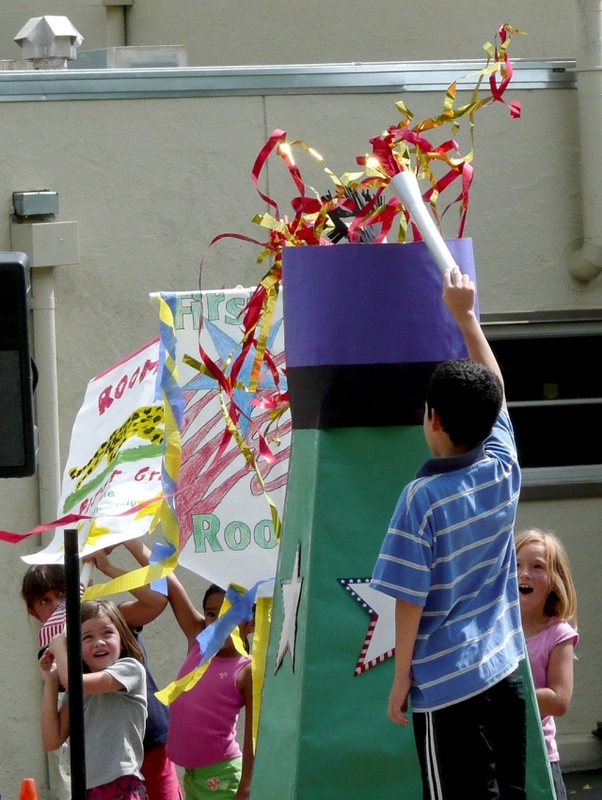 Following the lighting of the Olympic flame the opening day competition began. To classmate cheers athletes pulled with all their strength in the tug-of-war competition and later ran swiftly in a shortened marathon. Winners were awarded “Olympic” medals for their success. 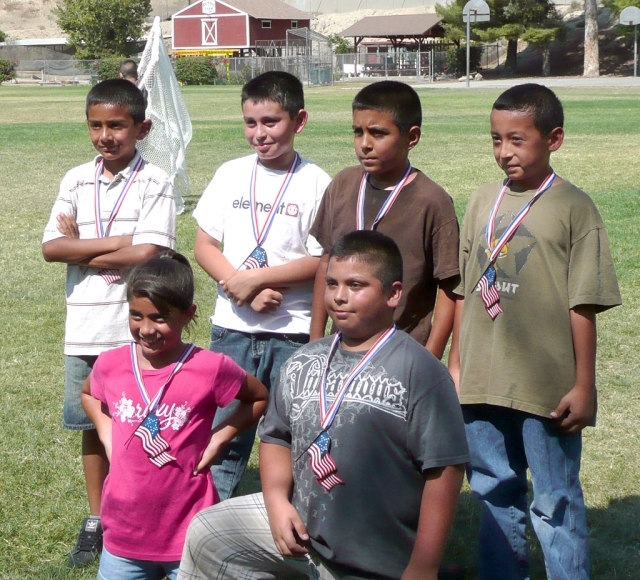 Throughout the week at lunch recess the competition continued when grade levels vied for soccer medals. Piru’s Olympic Games culminated Friday afternoon as individual students and teams gave their best as they struggled for success in long jump, shot put, jump rope, hula hoop, Frisbee throw, and running relay. 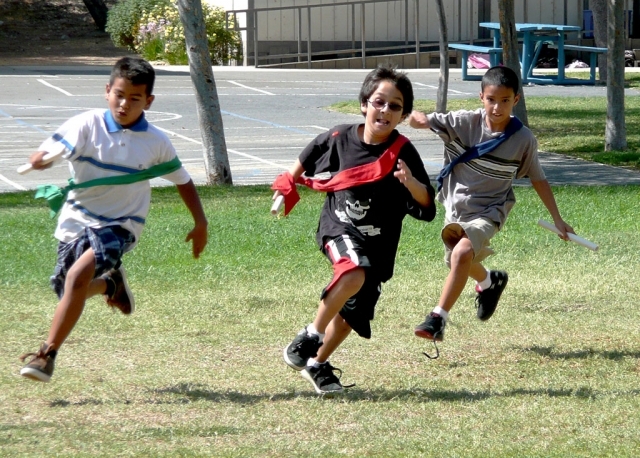 As the games drew to a close every student had an opportunity to compete to the encouragement of his or her classmates. 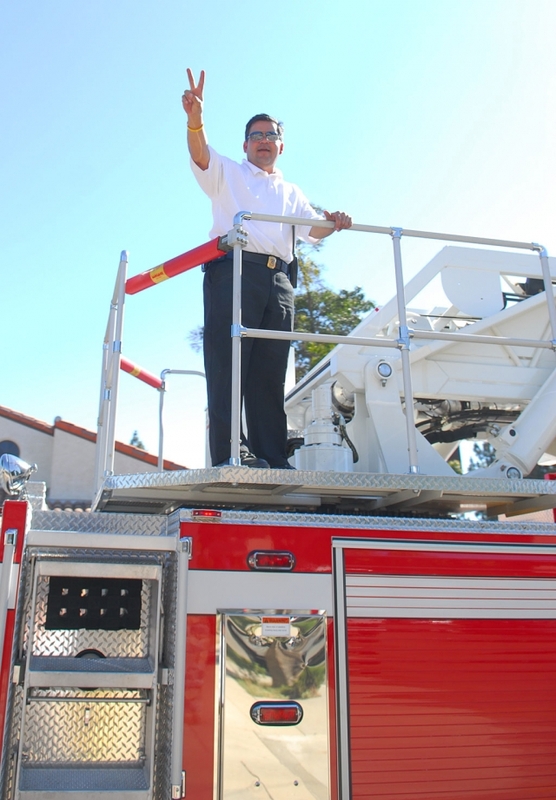 And, Piru Elementary School echoed with the pleasure of its students. 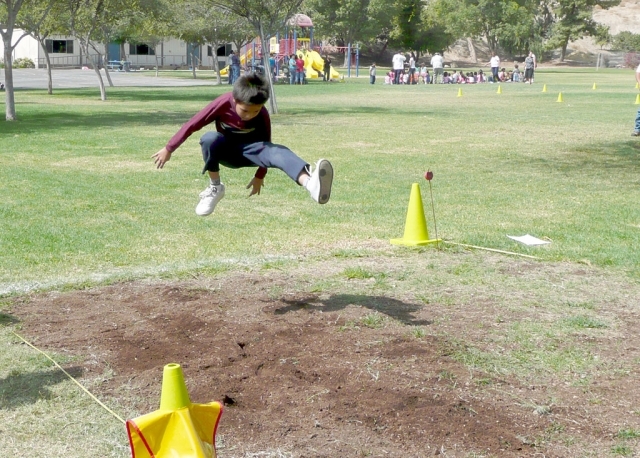 Piru students enjoy tug-of-war competition. Fifth grade competitors and friends. Ivan Zepeda, long jump champ. 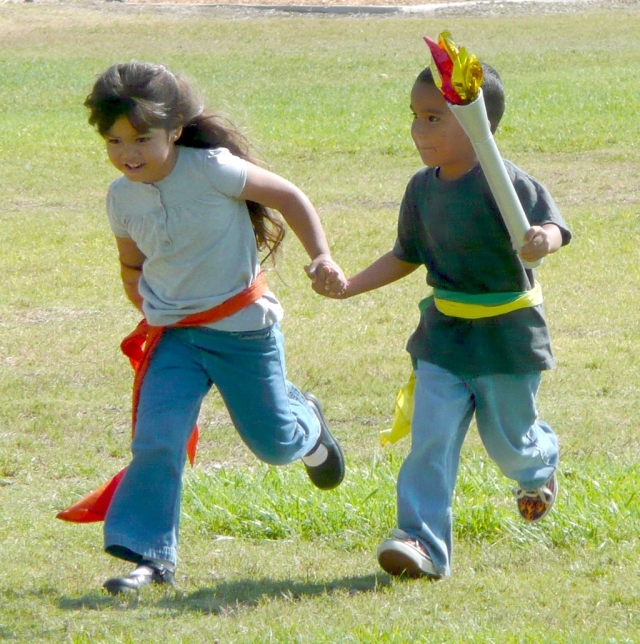 Kindergarten torch bearers, Kimberly Ruiz and Ronnie Alcozar. Lighting of the Olympic flame. 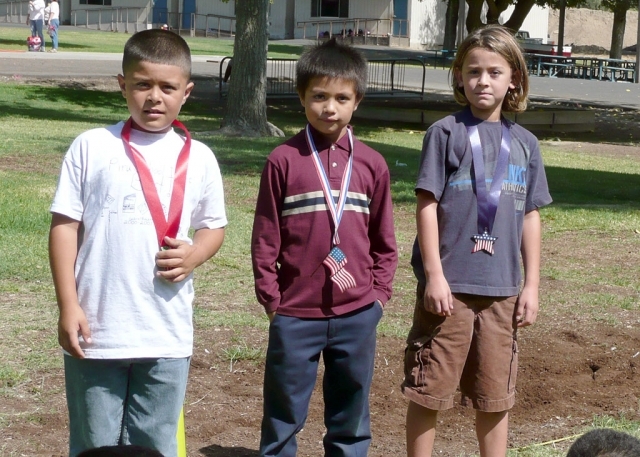 Third grade long jump medalists. Ms Renelli’s fourth grade tug-of-war team. 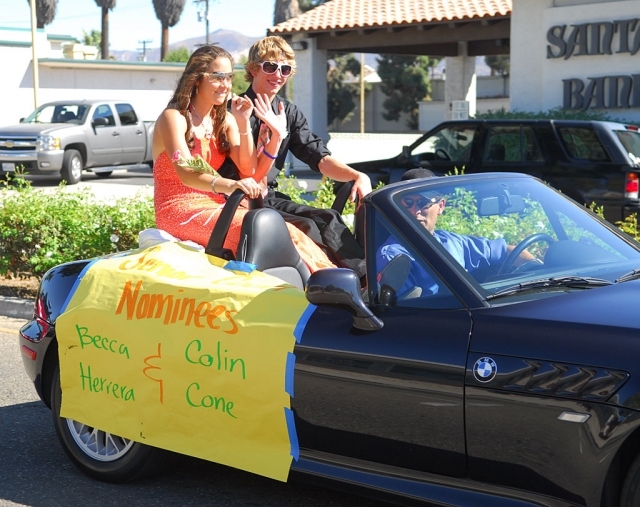 Homecoming week was a great success, and student participation was at a record high. All of the floats turned out wonderfully, although there was an upset with the Juniors beating the Seniors for the first time in about 20 years. The senior class did come out ahead in class points, but the juniors were close behind. 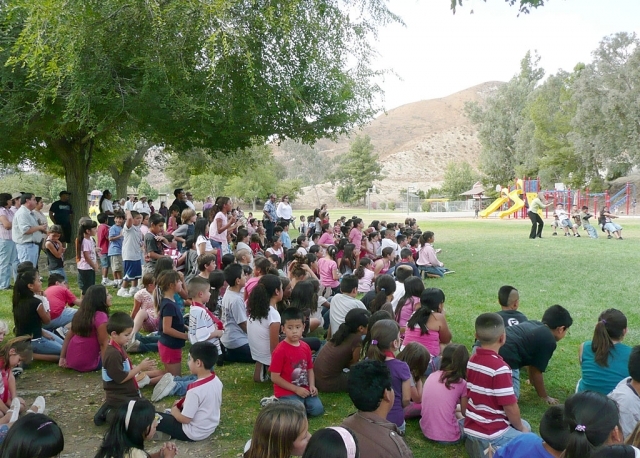 Santa Paula Week is the week after we return from our October break, and will include noon time activities, a rally, and a Halloween costume contest to “scare away the Cardinals”. The Santa Paula football game will be our first home game in quite some time, so be sure to show your support for our JV and Varsity teams. On Tuesday the girls golf team had a match away at La Reina and girls volleyball game is scheduled to have a match against Santa Paula on Thursday. The results are in, and last June 62 seniors qualified for the California Scholastic Federation and will hopefully be wearing the gold sash at graduation. CSF is made by getting As and Bs in core classes for the last five semesters, and in order to wear the sash and become a life member, a student must continue their excellent grades during their senior year. The Drama Club and ASB are putting together a student Film Festival – high school students may submit a film that could win them a substantial scholarship. Clips from winning films will be shown at a gala event near the end of the school year that the community is encouraged to attend. 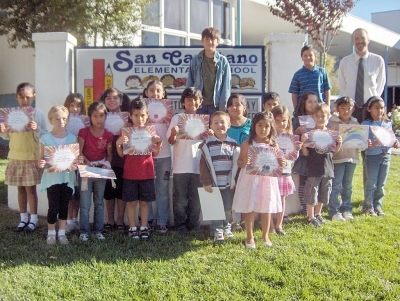 On Tuesday, October 7, 2008, San Cayetano School recognized good citizenship and character at their Peacebuilder Assembly for the month of October. Mr. Steve McClary, the Administration Service Manager for the city of Fillmore, came to speak to the students about what a good citizen is and how respecting others is important. He talked about how we can be good citizens to help our school and community. Each teacher chose a student from his or her class whom showed excellent character and respect in the month of October. Roman Torango and Ian Overton, the San Cayetano ASB President and Vice-President assisted Mr.McClary in handing out the Peacebuilder Awards. The Peacebuilders for October are: Aaliyah Arias, Ty Wyland, Angelina Delgadillo, Evan Alamillo, Rosie Zamora, Julia Pace, Daniela Chavez Hernandez, Jason Martinez, Ulany Valencia, Dafnee Martinez, Andrew Hernandez, Gisselle De La Paz, Reymundo Hernandez, Brenda Feliz, Karli Zavala, Yulianna Magana, Taylor Wright, Jose Esparza, Kyle Popp, Ismael Dominguez, Julisa Garza, and Michelle Higuera. 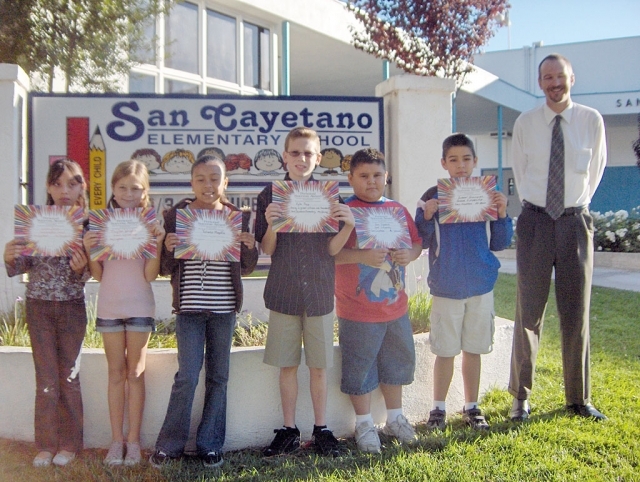 Mr.McClary then announced the San Cayetano Character Counts Award of a $100.00 savings bond sponsored by the Rainbow Foundation. Mr. McClary presented the Character Counts Award to a deserving second-grade student. Ashley Alvarez was chosen by the second grade teachers as a model of kindness and respectfulness to the other students and school community. To conclude the assembly, students were reminded to turn in their Perfect Attendance tickets. Each month all students who come to school, each day, on time, are given a purple raffle ticket. The students place their tickets in a box and one ticket is drawn. The student whose ticket is drawn is given a NASA backpack with the book Max Goes to the Moon in it. 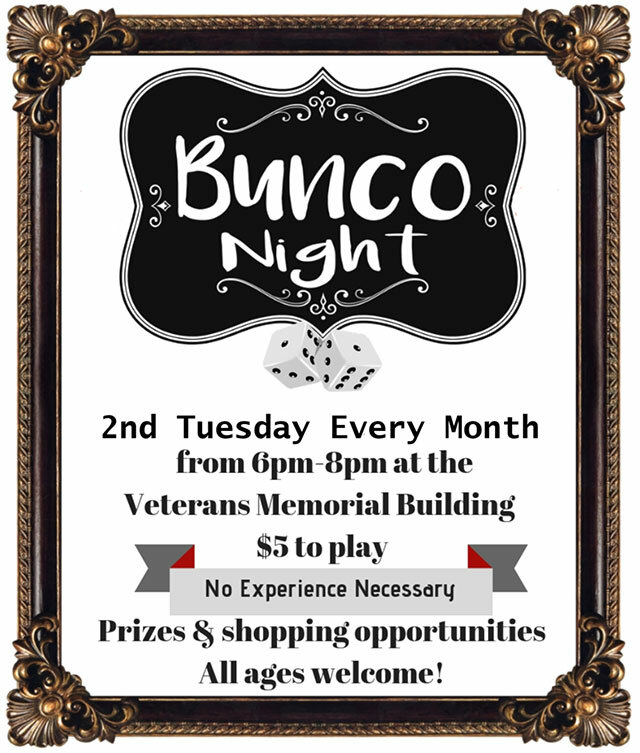 Each month, the tickets will be put into a larger box that will be kept until the end of the year. In June, Mrs. Marholin, the principal, will draw from the tickets to give away two new bicycles. Ana Rincon, a fifth grade student, from Mr. Maus’s class, in room 28, won the Perfect Attendance Award for October. 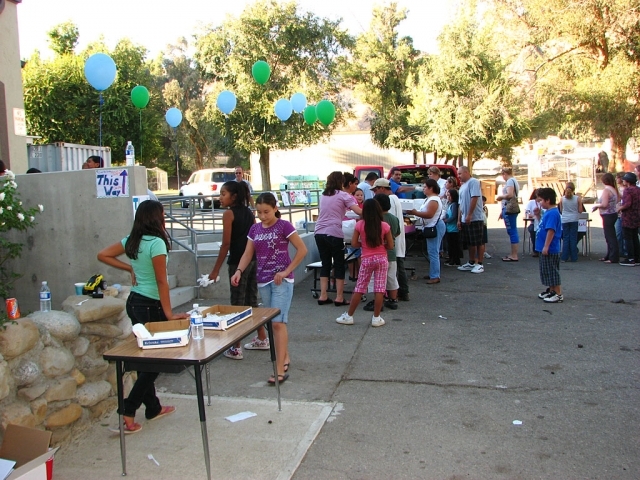 Piru Elementary held a school fundraiser on Friday, September 26th. 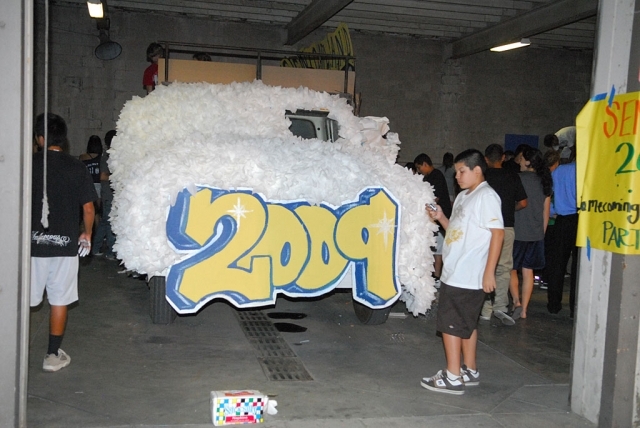 The event drew nearly 250 people and lasted three hours. 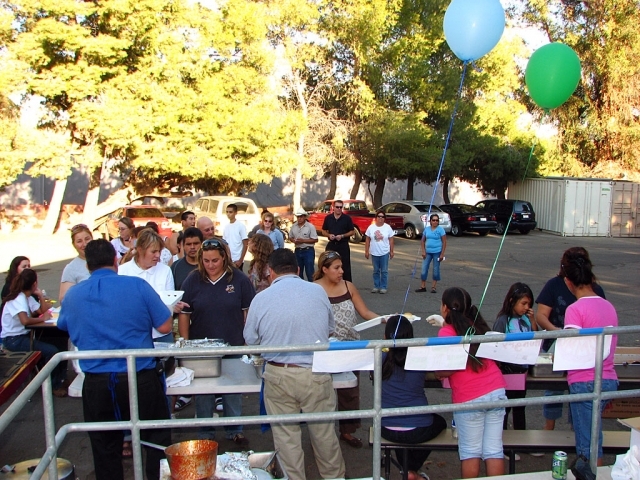 Jesus “Chuy” Ortega, owner of El Pescador Restaurant in Fillmore (show serving), donated all the food. The school is trying to raise $9,000 to send the entire 5th grade class to an outdoor leadership camp. Anyone wanting to make a donation towards the trip can call 521-1709 and make arrangements. The kids pitched in with maximum effort to make the fundraiser a real success. 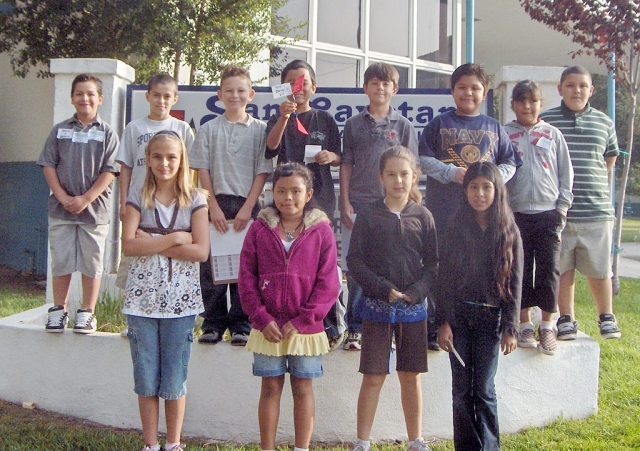 Last week the 4th and 5th graders voted in the new ASB President and Vice President. The ASB officer candidates must be responsible students and good citizens. Twelve students were in the running for office. Bryanna Arnett, Roman Tarango, Anabel Herrera, Shyanne Galvan, and Azubah Collins were the contenders for President. Ian Overton, Ernie Rangel, Tyler Stump, Perla Chavez, Jessie Vasquez, Darian Delgadillo and Enrique Rodriguez ran for Vice President. After a week on the campaign trail, the candidates all gave great speeches in front of the student body, and in a very close race Roman Tarango was voted President and Ian Overton was voted Vice President. Roman and Ian will lead our monthly Peacebuilder Assemblies and coordinate our themed dress-up days. Congratulations to all the candidates and good luck to Roman and Ian. Pictured above Mike Boblett, Brianna Rojo and Gil Kohler. 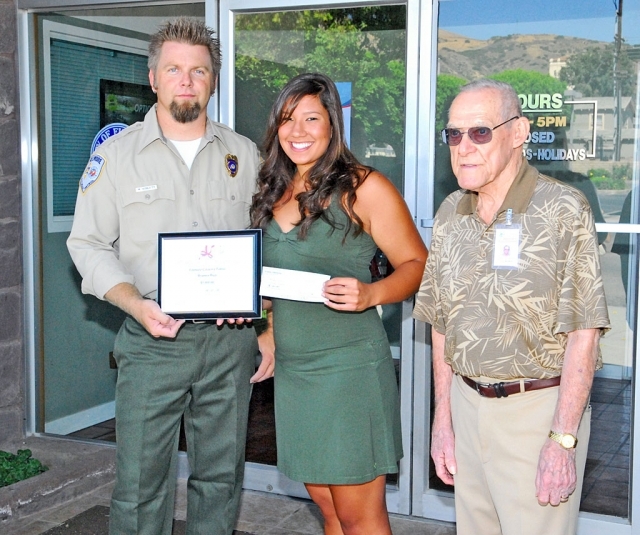 On September 28, 2008, at 1:00 p.m., the Fillmore Police Department’s Citizen’s Patrol awarded a $1,000 college scholarship to local teenager Brianna Rojo. 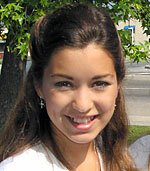 The police volunteers at the Fillmore Police Station selected Brianna as the 2008 recipient. 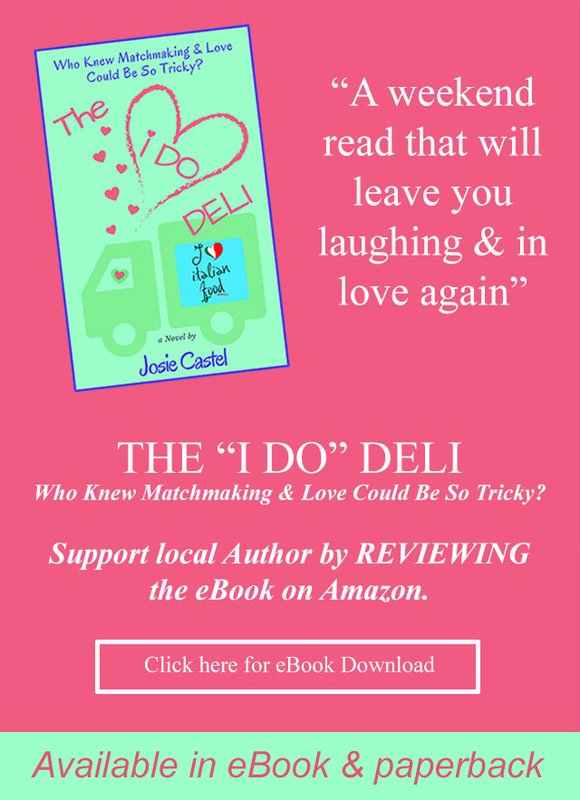 She is an 18 year-old Fillmore citizen who is a 2008 graduate of Fillmore High School. 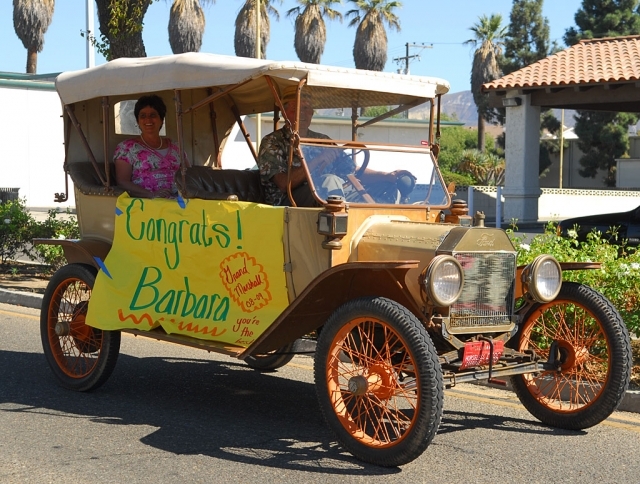 Brianna has volunteered throughout the Fillmore community during her entire childhood. 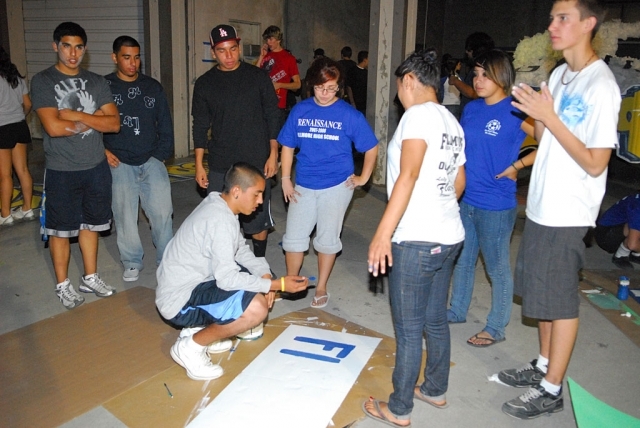 She was an active member of the High School ASB (Student Body), and was always there to volunteer for a community event. 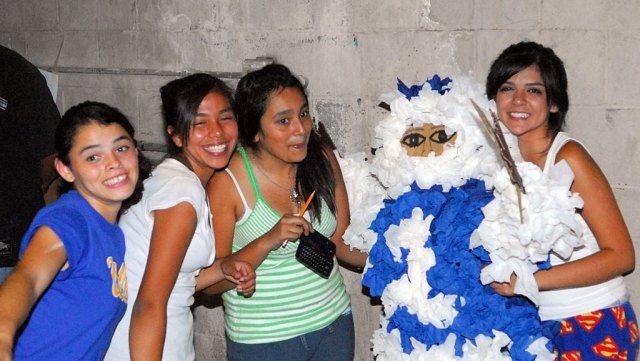 The Citizen’s Patrol volunteers work hard to raise money to support local youth. Their goal is to help with the student’s college ambitions. They selected Brianna for her eager pursuit of a degree in nursing at the University of San Francisco, where she starts this week as a freshman. Brianna wants to return to Fillmore and give back as a local nurse. She is the epitome of a dedicated citizen and it is easy to see why she was selected. 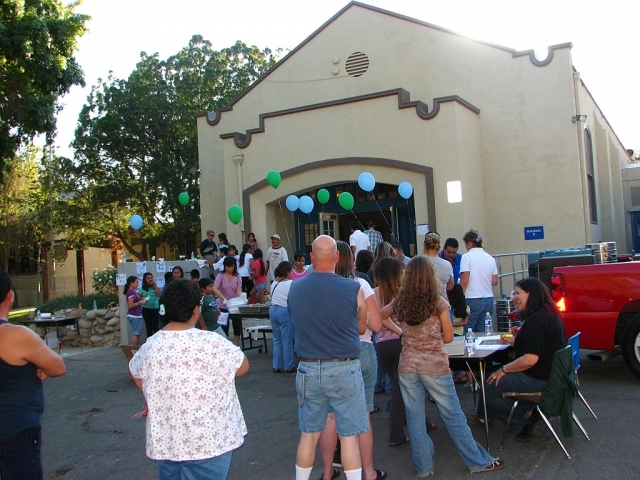 All schools in the Fillmore Unified School District will be joining schools from around the world to celebrate International Walk to School Day on Wednesday, October 8, 2008. Approximately 3,500 students in the District will be encouraged to walk to school with parents, teachers and community leaders. In the U.S., International Walk to School Day is expected to include 5,000 schools from all 50 states. Walkers from the U.S. will join children and adults in 40 countries around the world. 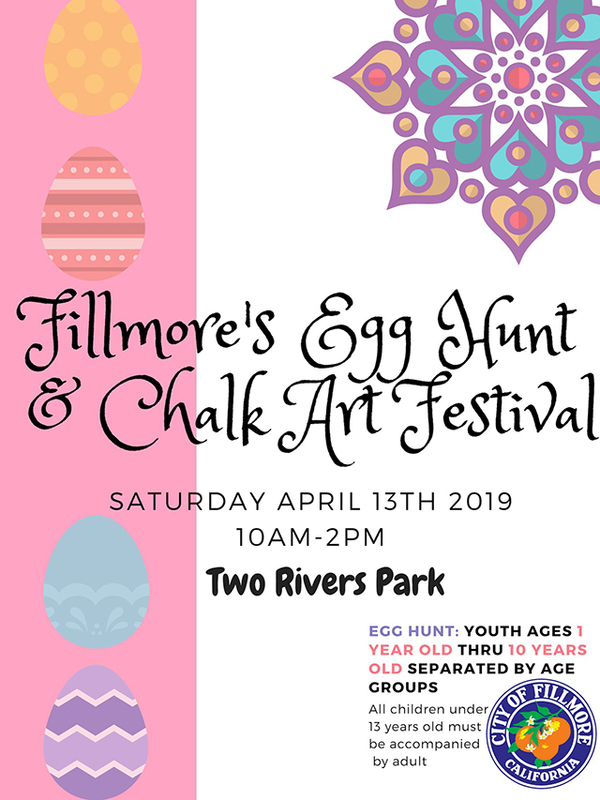 The event is being organized by Dave MacDonald and Tricia Godfrey from Fillmore Middle School and is supported by staff from all sites. In addition, the Fillmore’s City Council and the Board of Education created and supported a proclamation in support of Walk to School Day on October 8. Pictured above are teachers: Sarah Kemp, Mrs. Cathy Nunes, and Mrs Rosie Cervantez. 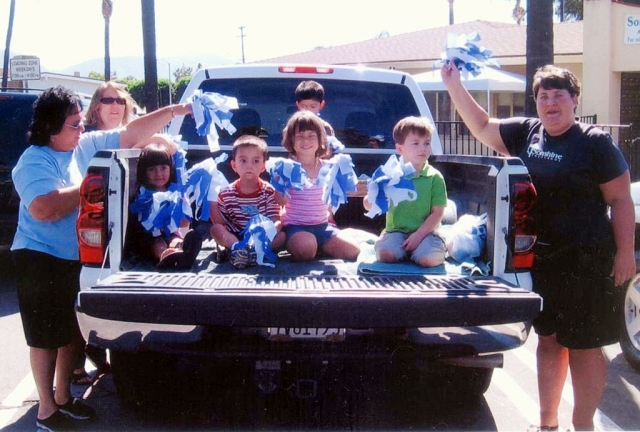 On Friday, September 26 the Sonshine Preschool after school care enjoyed the 2008 Homecoming Parade. 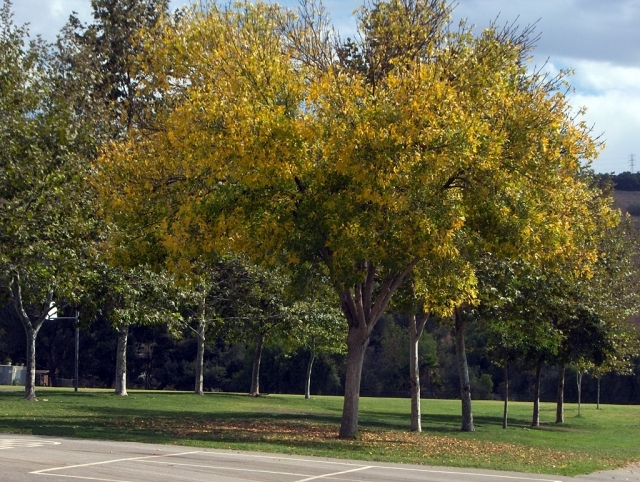 This beautiful tree with the changing colors lives at San Cayetano Elementary School. This corridor of trees has been growing for years with a new tree added each Earth Day. 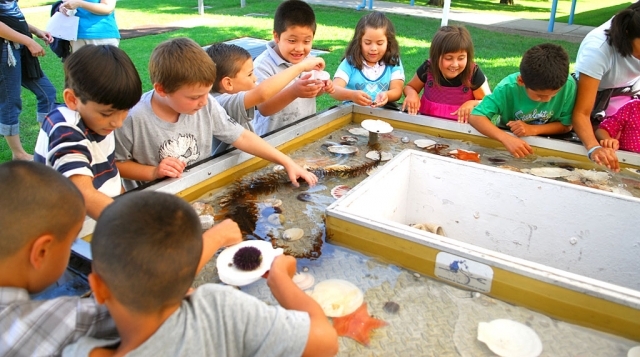 SACRAMENTO – State Superintendent of Public Instruction Jack O’Connell today announced 92 local educational agencies will receive nearly $80.5 million in Title I Program Improvement Corrective Action grants following the enactment of the state budget. The list of grantees is attached. O’Connell recommended corrective actions to the State Board of Education in March for local educational agencies (school districts and county offices of education) that were identified as being in the third year of Program Improvement under the federal No Child Left Behind Act. The corrective action included instituting and fully implementing curriculum based on state academic content standards and achievement standards. 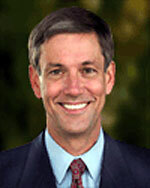 In addition, O’Connell recommended differentiated technical assistance. Certain local educational agencies will work with District Assistance and Intervention Teams to analyze data, make recommendations to improve student achievement, and provide the grantee with technical assistance to fully implement the corrective action and any recommendations made by their District Assistance and Intervention Team. SACRAMENTO – State Superintendent of Public Instruction Jack O’Connell today announced that the State Allocation Board (SAB) awarded more than $153 million to 62 local educational agencies throughout the state for the construction, modernization, and emergency repair of schools. The list of awardees is attached. O'Connell is a member of the SAB that today voted to approve more than $148 million to 48 school districts and a county office of education for the construction and modernization of schools. Also, more than $5 million was awarded to 14 school districts for emergency repairs. The SAB also approved a final apportionment for one project that received approval from the Proposition 47 Charter School Facilities Program for Animo Leadership Charter High (Centinela Valley Union High). The SAB is responsible for determining the allocation of state resources, such as proceeds from general obligation bond issues and other designated state funds used for the new construction and modernization of local public school facilities. The SAB is also charged with the responsibility for the administration of the School Facility Program, Charter School Facilities Program, Overcrowded Relief Grant Program, Critically Overcrowded School Facilities Program, School Facility Joint-Use Program, Career Technical Education Facilities Program, Emergency Repair Program, and Deferred Maintenance Program. The SAB is the policy-level body for the programs administered by the Office of Public School Construction. The SAB meets monthly to apportion funds to school districts, act on appeals, and adopt policies and regulations as they pertain to the programs administered by the SAB. For more information on the State Allocation Board, please visit http://www.opsc.dgs.ca.gov. For more information about the need for new and modernized school facilities, please visit http://www.cde.ca.gov/ls/fa/sf/facts.asp. the beginning of oral communications and hand it to the clerk if you wish to speak. Please stay within the time limit indicated by the Mayor. If you wish to speak on an item on this agenda, please fill out an Audience Participation Form and hand it to the clerk prior to that item. 5A. Discussion Regarding Placing School Proximity Restrictions on Street Vendors. 5B. Update on Military Banners to be Displayed on Central Avenue. 5C. 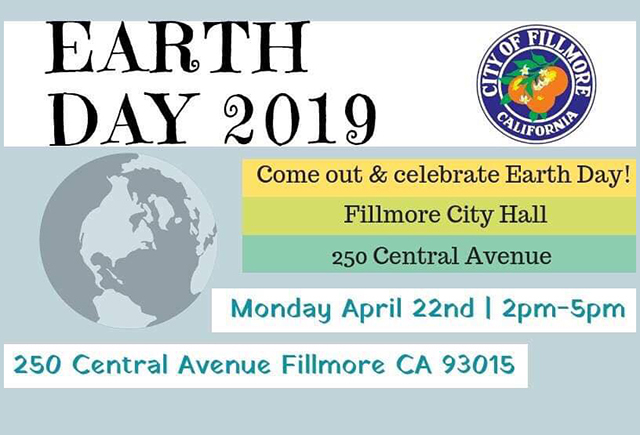 Discussion on the Joint Use Agreement between the City of Fillmore and the Fillmore Unified School District; Overview of the Scope of the Agreement Including the Joint Use of Facilities and Equipment. 5D. Options for Track and Field Access in Fillmore. 5E. Update on the Effluent Disposal System at the Middle School and Third Street Control Building Design. 5G. Other Discussion and Information of Interest to the School Board and Council. 6A. Approval of Proclamation Declaring October 8 as Walk to School / Work Day in the City of Fillmore. 7. ADJOURNMENT – Board of Education adjourns to its next meeting, set for Tuesday, October 7, 2008 at 6:00 p.m. at Fillmore Unified School District, 627 Sespe Avenue and the City Council adjourns to its next regular meeting, set for Tuesday, October 14, 2008 at 6:30 p.m. at Fillmore City Hall, 250 Central Avenue, Fillmore, California. 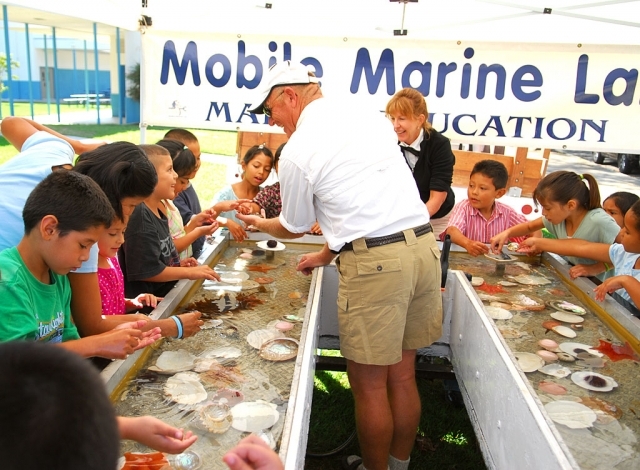 San Cayetano Elementary School hosted Mobile Marine Lab on Sept. 14th and 15th. Each class got to spend 30 minutes learning about and holding various sea specimens. 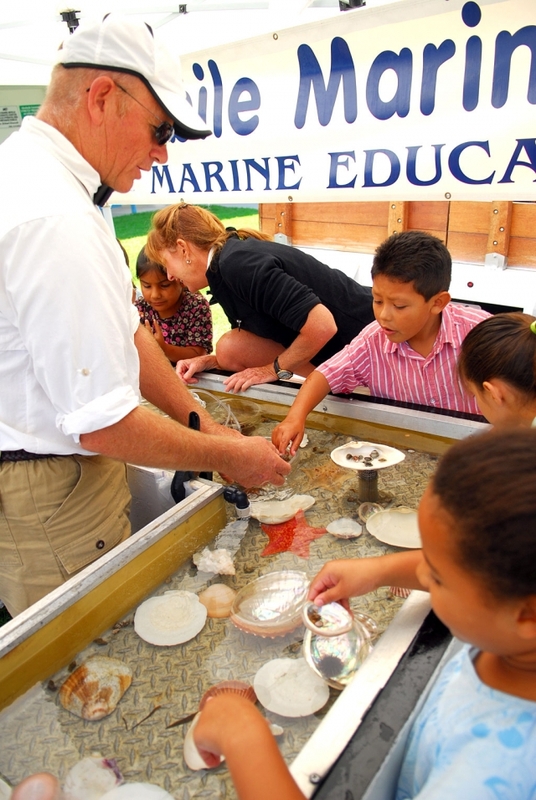 The specimens are collected and released each day at the harbor. Dirk from Mobile Marine brought an octopus, various starfish, hermit crabs and colorful small fish. This was a wonderful hands-on experience all about science. 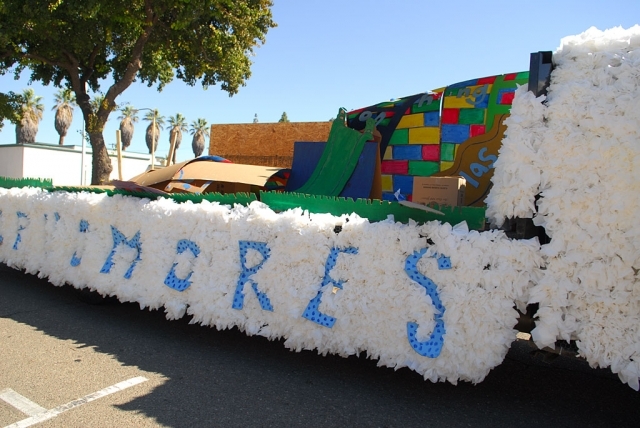 We have had a great homecoming week so far at Fillmore High School, and we’re only halfway through! Activities have been planned for every day of the week, and although some changes have been made due to our new track and field, it looks like this Homecoming will set the bar high for future years. 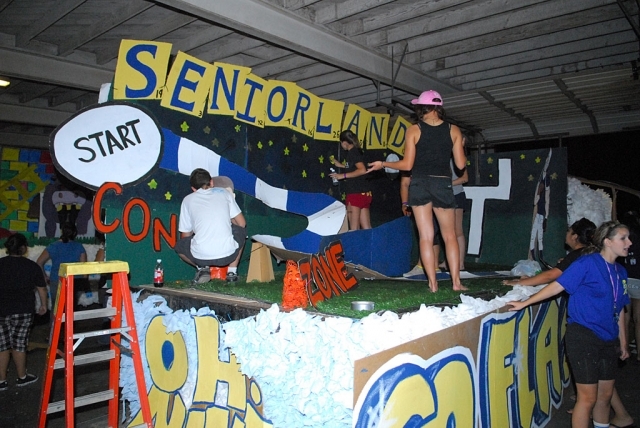 The theme of this year’s Homecoming is “Its Always Fun and Games in Flashland”. 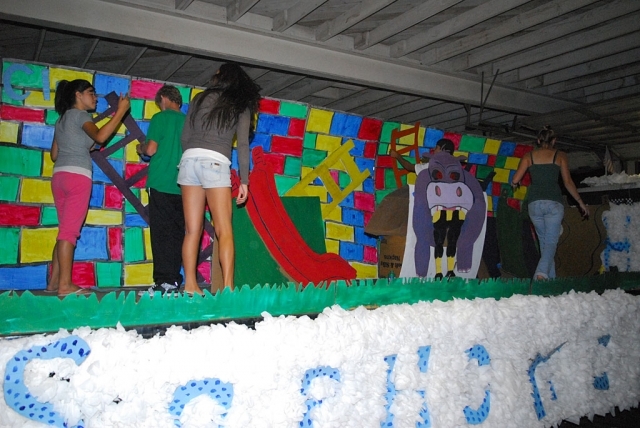 The floats will all include some sort of board game, and they are looking great so far. 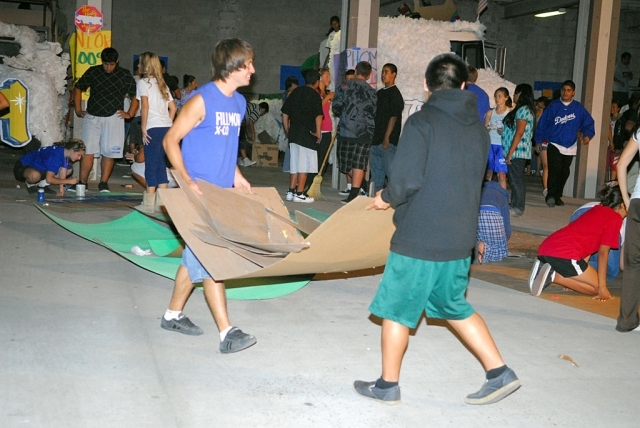 The students have been working very hard, and the freshmen class has persevered despite being without a truck for the first night of float-building. Chaperones are always welcome at the bus-garage, so if you have a student at FHS and are available anytime between 3 and 9pm, we would love to have you. 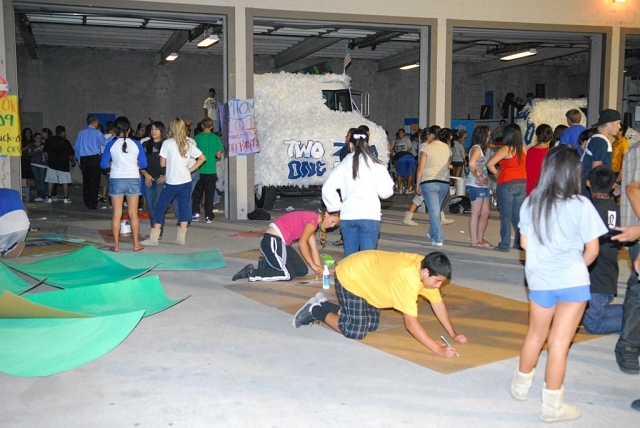 The Homecoming Court for this year was announced Monday night at the kick-off party for float building. 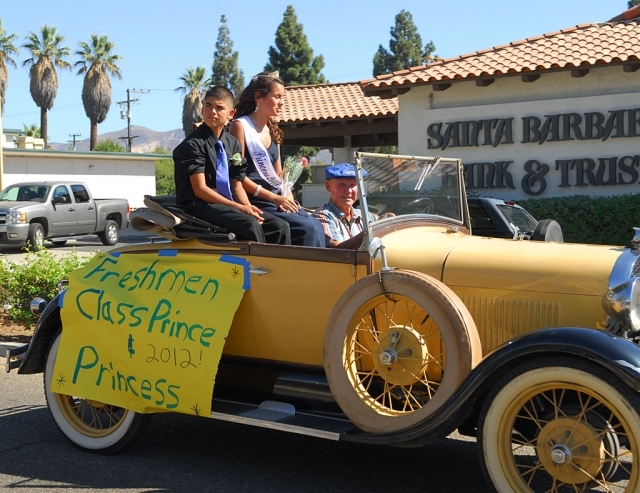 The freshman princess is Anissa Magdeleno and the freshman Prince is Robert Bonilla. 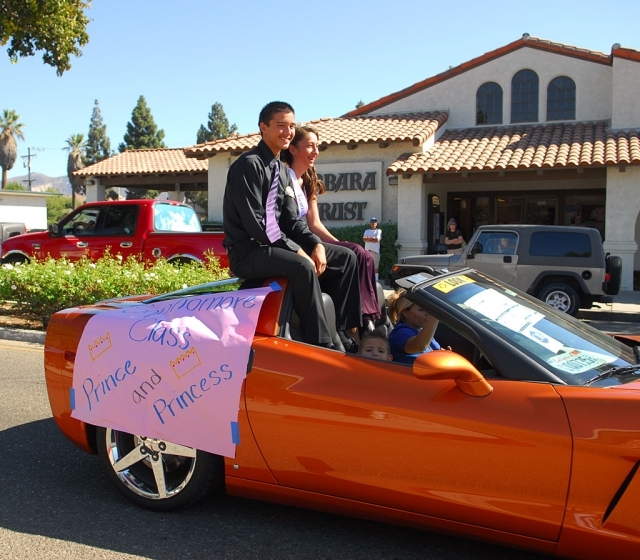 Angelica Gonzalez and Angel Barajas are the Sophomore Princess and Prince, and the Junior Prince and Princess are Anthony Chavez and Victoria Ayala. 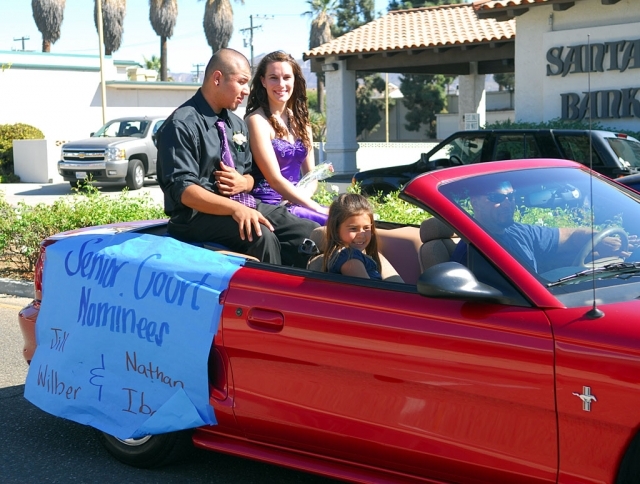 Jill Wilber and Nathan Ibarra, Colin Cone and Rebecca Herrera, and Brina Suttle and Ralph Sandoval are all on the Senior Court, but the winners of King and Queen will not be announced until the rally on Friday. 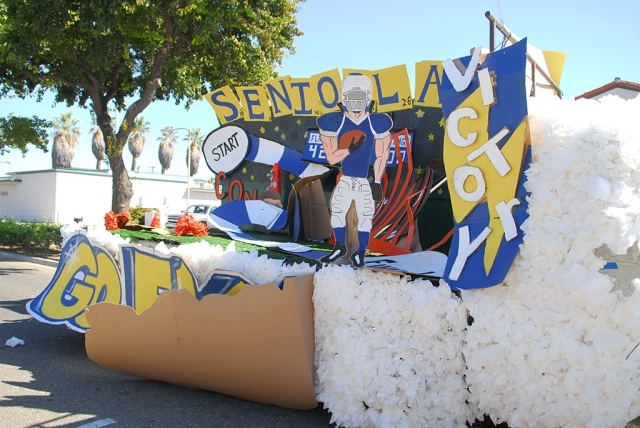 The annual homecoming parade will be held at 3:00pm on Friday, and this will be one of the few times that the public will be able to see the floats up close, as they are no longer able to drive on the track at the football game. 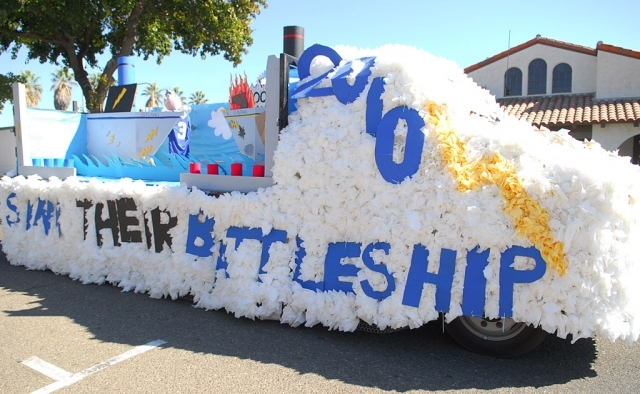 The floats will still be at the football game, but they will be on display only. Be sure to come to the game on Friday, especially if you are alumni! Football games are a great way to support our schools, and all of the proceeds from getting into the football game go back to the Athletics program. The Lions Club will be making their amazing tri-tip sandwiches, and the Junior Class will be working the snack bar to raise money for prom. This will be our last home game for quite some time, so don’t miss out! 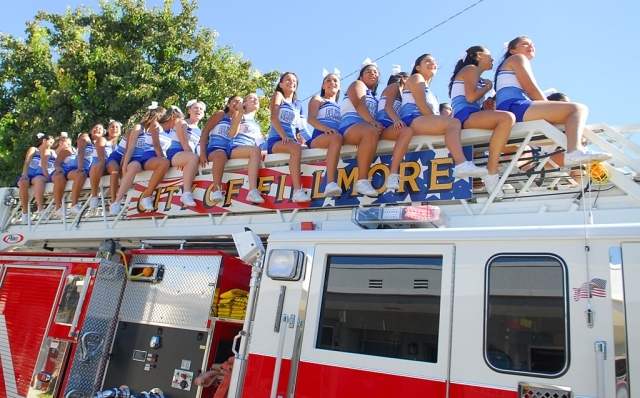 Fillmore High School received a surprise visit from the Ventura County Sheriff’s Department’s drug enforcement agency last Thursday. Numerous K-9 units from around the county participated in one of their regularly scheduled drug detection training events. The dogs are highly trained in discovering narcotics.